This past December, the Natalie M. LaPrade Maryland Medical Cannabis Commission (MMCC) finally announced the names of the 102 dispensaries that received a license pre-approval for our home state of Maryland. Unlike the neighboring Washington, D.C., program, registered patients do not have to commit to one particular dispensary and can visit any or all dispensaries of their choice. Maryland, as you may know is not a very large state. So, with multiple dispensaries within a short driving distance, how can you differentiate your dispensary from competitors? How do you convince patients that your dispensary is worth visiting? When you walk into various dispensaries in Colorado, Oregon or California, you'll notice that not all dispensaries look and feel identical. That's because each business has developed their own unique branded experience. One dispensary may look similar to a yoga studio, while another might feel more clinical like a pharmacy or doctor's office. Dispensaries have one thing in common — cannabis — and they provide products that are valuable to patients of different ages and demographics. However, not all experiences resonate with everyone...and that's okay! If you try to cater to the masses, your brand and your messaging get watered down to the lowest common denominator. When branding any company, cannabis-related or not, understanding your point of differentiation is key to creating the most successful and authentic experience for your customers. At Brand Joint, we start every project with Brand Discovery. Together, we learn as much as possible about your business and brand. Before we begin designing your logo, website, packaging or interior space, we must understand what your brand stands for. What is your mission and vision? Who are your patients? Why should they choose your dispensary over others in the area? What makes your brand unique? There really is no right answer. Developing your brand strategy and intentionally designing the patient experience from the very beginning will strengthen the value of your brand. 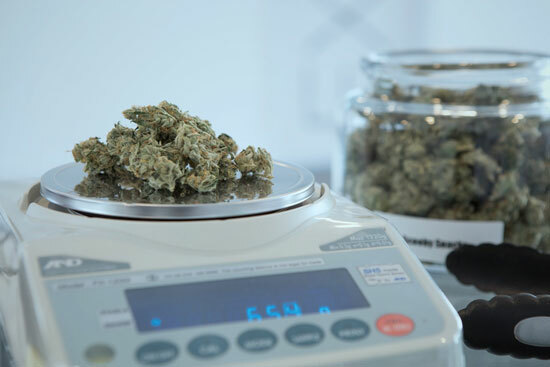 By finding your key differentiators as a dispensary owner and having a well thought out patient experience, you’ll be a giant step ahead in this growing competitive market and create a loyal consumer base.